Let me at the outset profoundly thank Sir Ganga Ram Heritage Foundation, Lahore for giving me opportunity to participate and speak on this very relevant issue, ‘DrAmbedkar’s mission of annihilation of castes and present situation’. Sir Ganga Ram’s story is that of hard work, success and then philanthropy. In fact, many of us had just known about Sir Ganga Ram with a hospital attached to him in Delhi. I am very happy that there is a foundation working in Pakistan in his memory which is important to preserve our history and common cultural heritage though I don’t remember any of his work in relation to emancipation and empowerment of Dalits in our parts of the world though his contribution to charity is enormous and we respect that. In fact, one of the biggest tragedies of South Asia or Indian subcontinent is that the whole partition debate revolved around Hindus and Muslims who might have fought with each other many time, had conflicting views on many things but had so many commonalities of working together, living together and practicing similar cultural values. When so many good things were there, I can say we had equal number of bad things. While I celebrate the cultural mosaic of Hindus-Muslims-Buddhists-Sikhs-Christians and all others who are contributed to our common cultural heritage, we must not hesitate to speak up against all those evils which too have become our ‘common’ heritage. Caste and untouchability today has transcended our nations, religions and ethnicities and it is time we must speak up against this evil. We need to seriously introspect. It can’t be allowed to browbeat the other because except for India, people were not much aware of the caste system in South Asia. Except for Hinduism, most of the people were not aware that caste had penetrated in South Asian Islam, Christianity and Sikkhism and people remained isolated, ostracized and faced untouchability despite so-called conversion. Caste is a disease that has inflicted everyone across the region. It was varna system but today the virus has gone into those who technically have no caste in their foundations. Thus, Muslims, Christians, Sikhs too have castes in South Asia and apart from India, Pakistan, Bangladesh, Sri-Lanka and Nepal suffer from this grave disease. So, when we talk about mission annihilation of castes, we have to take up the realities of modern times and work accordingly. We should not forget that DrAmbedkar was a modern man and therefore he challenged the supremacy of scriptures and felt that if the scriptures are not per as our modern world, rule of law and do not preach equality of human being including gender then, they should amended. Why modern democratic laws are better than the religious scriptures because in the modern laws you have the power to amend it and that is why your constitution can be amended as per the needs of the people accordingly but you can’t think of even speaking about the religious laws who we feel are universal. Lahore is historical because Baba SahebAmbedkar was invited here by the Jat Pat TodakMandal in 1936 by its secretarySant Ram to speak on annihilation of castes.Mandal was an AryaSamaji and a reformist one and they had expected that DrAmbedkar would just speak about the menace of untouchability and how to fight against it. So, he was asked to preside over the programe meant to speak on the annihilation of caste. The organisers asked him to send his speech in advance so that it could be distributed. As you might know that he sent the speech but it shocked the organiserswhich shocked them as they were not expecting that DrAmbedkar would challenge the basic tenants or foundation of varna system. Sant Ram requested him to change his presidential address which DrAmbedkar refused saying that you cannot censor the speech of a person presiding over a programme, as how to speak. A man of great courage and conviction, DrAmbedkar later published that speech which is known as ‘Annihilation of Castes’ in May 1936. Every student of social sciences and political science must study that book but please do not look into these argument with one particular religion because as I said caste may be considered to be the root of varna system but it has inflicted everywhere so our challenge is much bigger. Caste divisions will ultimately kill society; they divide and are inhuman to say the least. Perpetual practices of caste system are anti-democratic and remain the biggest threat to our democracy as without life being democratic we cannot strengthen political democracy. Baba SahebAmbedkar had warned about long back in 1950 that two individuals have to be equal in social life for the political democracy to succeed. Eighty Two years have passed since then. DrAmbedkar speech became historic. People were reading it according to their conveniences. Many were trying to hide it so that it does not expose but the one thing it has done that it raised the consciousness among the Dalit Bahujans and not merely among those who were part of the Hinduism but today the issue of Dalit and assertion has risen beyond Hinduism. The Pasmandas are seeking their right and representations, so are Christians. Ambedkar’s legacy has become stronger and powerful in India as it believed in democracy and modernism. Today, Dr Baba SahebAmbedkarremains the most powerful icon of freedom and freedom not just from the yokes of the imperial power but the caste forces. Thank to DrAmbedkar’s valiant efforts to provide justice to the marginalized sections, their representation in India’s political structure, in Parliament, in Assemblies is high. Today, the assertive Ambedkarite raise their voice and speak up, and represent them. Hence, when I am speaking here in Lahore, I would like to share a few thoughts about how can the conditions of Dalits be bettered in Pakistan. I am sure you won’t deny the fact that there are a large number of Dalits in Pakistan, who live in Sind and Punjab provinces and whose social and economic conditions are not great. If in India they have political representation, job reservation, and now they are excelling in business and other sectors too but Dalits elsewhere in South Asia do not have constitutional provisions to protect them. Nepal is doing better in this direction as their constituent assembly has proportionate representation for them as well as they have also formed National Dalit Commission. Both Bangladesh and Pakistan have done very little to improve their condition. The conditions of Churas or Valmikis or what you call Christians or Maseehs in Pakistan is a matter of grave concern. They have faced numerous charges in the name of blasphemy. It is time for Pakistan government to protect the rights of the Dalits. While word Bhangi is banned in India, in Pakistan it is used freely. There are no spaces for the Dalits in jobs and other important institutions. A senior journalist who happened to be a Dalit narrated how in his newsrooms the upper caste Muslims would not drink water with him. The Pasmanda movement in India speaks of discrimination with them by the high caste Muslims. We have Halalkhors who are engaged in manual scavenging, Kalandars, Julahas, Naisetc who engaged in menial work and are looked down upon. Even in a place like Kashmir, one particular community of Wattals are engaged in the work of manual scavenging hence all the talk of all are equal fall flat and may be theory only and not in practice. According to Dawn on June 2nd, 2017, Sewage worker IrfanMaseeh died of non-treatment by the doctor because he did not want to touch him and compelled that his body be washed. It is shocking. I felt only the caste Hindus do it but the caste Muslims are no different than the caste Hindus. That is why I have said it so many times; the caste culture has corrupted our social system everywhere. Somewhere caste system actually strengthens feudal values and South Asia remains a power center for both. When the system is suitable to us, we don’t want any change. We would do a bit of ‘reform’ because of people’s pressure but would not accept full changes which would alter the power equations. Unless these equations are changed, I won’t say, we have attained freedom. This was the incident in Umarkot and frankly speaking shocked us but did not surprise. Religious answers to issue of untouchability has failed because religions in South Asia have rarely democratized themselves in terms of caste and gender and the agrarian structure of our society without any reforms continue to strengthen the status quo. Even in the Parliament, I don’t think there is fair representation for the Dalits in Pakistan. The Dalit SujagTehreek in Sind is doing a wonderful work to bring Dalits to one table and suggest that the population of Dalits in Sind is very high but most of them are absolutely landless and unrepresented politically. Feudalism is rampant and made them prone to violence. It is important for the lawmakers in Pakistan to give the Dalits their fair share in power. The seats which are reserved for the minorities must also be extended to Dalits and they be given representation everywhere including media. It is time South Asia show its concern to eradicate hunger and poverty which is its biggest challenge. We know that our societies take deep pride in their lineages’. We still have honored killings among all our communities and forced bonded labour is still prevalent and the reason for that is our feudal system and supremacy of our caste identities. How will the rural power equation changed unless there are radical land reforms and the benefit not gone to the rural poor predominantly Dalits and other marginalized. The violence against Dalits in all the South Asian countries has its root in caste biases and failure of the rule of law. We live in a society of contradiction and Dr Baba SahebAmbedkar mentioned it well. Our constitutional forefathers as well as yours too, DrAmbedkar, JawaharLal Nehru and Quaid-i-Azam Mohammad Ali Jinnah were foresighted, modern and progressive. When Nehru was talking about tryst with Destiny and Baba SahebAmbedkar reminded us of contradictions of life, Jinnah spoke of a modern progressive Pakistan. We need to ask ourselves as how much have these dreams of Quaid been achieved? Tragically, within three years, the important member of the constituent assembly and the first law minister of Pakistan JogendraNathMandal, who was one of the very close associate of Dr Baba SahebAmbedkar, had to return to India. Frustrated at the maltreatment given to minorities particularly those living in East Bengal, his dream collapsed and he resigned from the cabinet of MrLiaquat Ali Khan on October 8th, 1950. It reflect the pain and anguish of the man who dedicated his life for the cause of your country but felt betrayed at the end as discrimination against Hindus and scheduled castes remain rampant. Mandal’s resignation remains an important document of history for all who wanted to know what ails the polity in Pakistan. It gives us lot of ideas to introspect. Before, I conclude, I just want all of us to introspect whether the ruling classes of our countries really followed the path shown to us by our founding fathers. Whether all the citizens in our societies really have equal opportunities and most importantly whether all those who are supposed to execute rule of law as per our respective constitutional provisions really do so in all their honesty or is it an open fact that constitution, modernity, rule of law in our societies are as per power and positions of people and not the same for all. Unless we remove the discrimination among us, outlaw caste and gender discrimination completely, outlawuntouchability and violence against Dalits in our constitutions and implement and execute land reforms to change rural power structure which still is feudal and casteist, things will remain the same. Indian laws that way can be a model for rest of the South Asia as we outlawed untouchability way back but it is also important that merely constitutional provisions are not going to change our society. Our education system must develop spirit of inquiry and rational thinking. Our teachers must be trained so that they welcome this spirit of inquiry from the students and not justify every wrong in the name of tradition, culture or religion. There will always be a war between modern principles of democracy and the feudal caste minds prevalent in our societies. The chaos and anarchy in our villages and streets are not going to help except the imperialist power forces who will enjoy our ignorance, superstitions, and divisions among our society. It is time for all of us to ponder over this, bury our hatchets of hatred and focus on developing relationship among different communities, allow our children to grow as per their choices and respect human rights for all. Dalit question, world over is that of human rights and we must defend that at all cost. Unless, constitutional provisions to safeguard them is not done all our talks would be futile. In India the law is there but their implementation are tardy, in Nepal, the laws are now being framed but elsewhere in South Asia, the Dalit question remained unrecognized at the official level and it is time the government focus on it, speak to the Dalit organisations in the respective countries, take them into confidence and amend the laws accordingly for their benefit so that the both as a society and country we grow and there is prosperity and growth for all in the region. We must remember DrAmbedkar’s idea for Dalit Liberation and empowerment comes with his appreciation for Voltaire who maintained that in liberal democracies people have right to dissent and differ which is not a crime. He found emancipation of the Dalits in Buddha’s Karuna and reasoning therefore redefined the whole approach. The idea was not to surrender to another Gods or Goddesses but follow the path of Buddha whose philosophy revolved around human being. A liberal secular socialist democracy is the only way out for Dalits and other marginalized to progress. 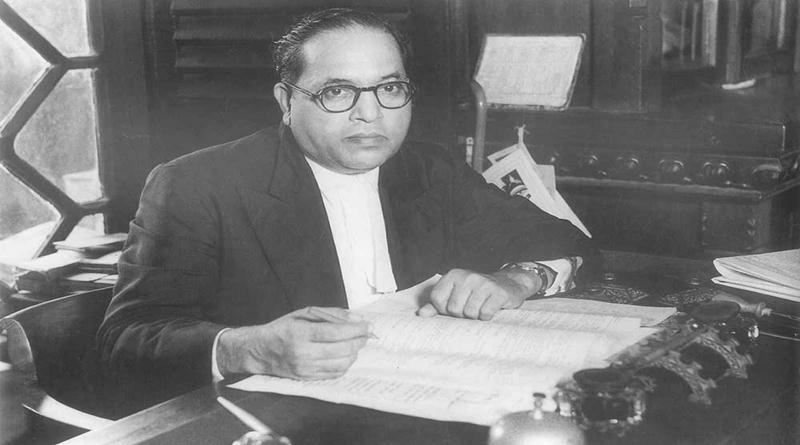 Theocracies and dictatorship will never do any justice to the emancipation and empowerment of Dalits and other marginalized according to DrAmbedkar. It is important that democracy flourish in South Asia and governments adhere to secular principles and ensure that the secular liberal democratic values become part of our constitution so that those victims of religion and religious values are protected legally and can find equal opportunities to progress. The author is a human rights activist, a radical humanist based in Delhi. This lecture was supposed to be delivered at the programme organized by Sir Ganga Ram Heritage Foundation, Lahore. The author could not participate in the programme as he was not convinced with the aims of the conference and felt it was just an event management. Pakistan had 7% reservation in jobs enshrined as a constitutional provision for the scheduled castes there. In 1998 (? ), the same safeguard has been converted into reservation for minorities of Pakistan which as a result has become the privilege of the upper caste Hindus and Christians there. The dalit has now no chance of getting benefit of reservation which formerly stood in their good stead in Pakistan. That was the prerogative of the SCs there when Jogendra Nath Mandal, a Scheduled caste leader of East Bengal [now Bangladesh] was minister. The upper caste Hindus and Christians of Pakistan, however, had pleaded with Prime Minister Nawaz Sherif to convert it into reservation for minorities of Pakistan, which he conceded. It is a paradox. The upper caste Hindus in India are sworn enemies of reservation for scheduled castes and tribes in India but their Pakistani cousins have no hesitation to enjoy the same with great relish. Here they advocate merit but in Pakistan they prefer reservation.